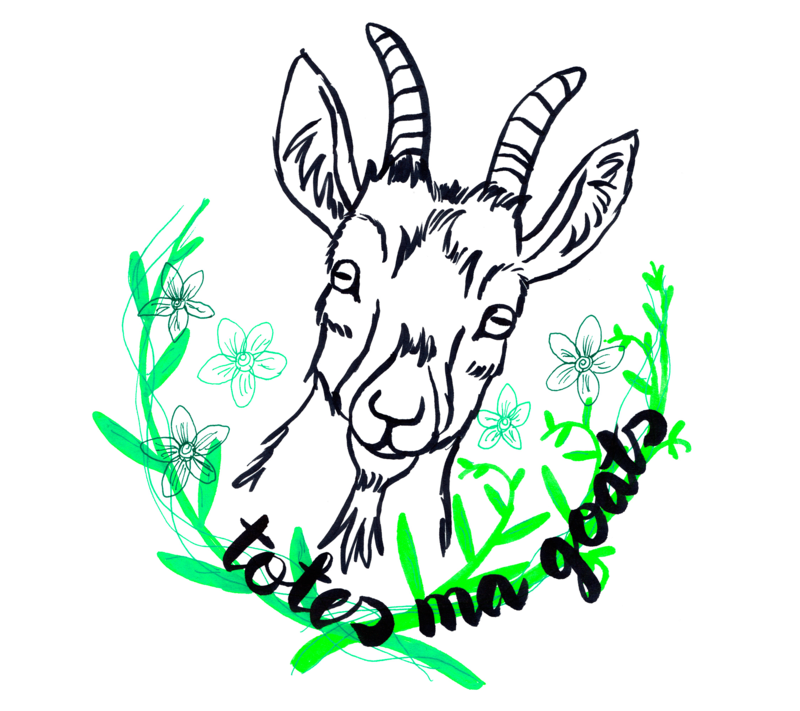 Welcome to Totes Ma Goats! My work gives voice to the spirits of the natural world, and reflects my aspirations for a kinder future for our one planet. I experiment with upcycled materials, alongside drawing and painting in more conventional ways. My goal is to develop a zero waste creative practice. I’m a plant-based daydreamer from Dumbarton, Scotland. I graduated from the Glasgow School of Art in 2005 with a degree in Environmental Art. After some life-altering events, I have decided to pursue a vocation of creation and service. My main website is www.littlewolfgoat.com.